Before we peer at the past week’s sales, please note that consumers change formats slowly. Buyers are finally moving from physical CD sales to digital downloads, but the lethargic process has taken 10 years and is still unfinished. And did you know that iTunes will celebrate its 10th Anniversary on April 28, 2013? Many industry observers believe that access or subscription music is the next big thing, streamed to user’s across multiple hardware channels. Yes, streaming dominance appears inevitable as bandwidth becomes ubiquitous throughout our lives. But don’t expect to see it gain critical mass overnight. As a recent NPD Group study of digital behavior shows, the transition will likely take years. According to NPD’s “Annual Music Study 2012,” 44 million Americans bought at least one song track or album download last year. That number has remained relatively stable over the past three years, despite the rapid growth of Pandora and other music-streaming options. “There’s a belief that consumers don’t need to buy music because of streaming options,” says NPD Group’s Russ Crupnick. “When in fact streamers are much more likely than the average consumer to buy music downloads.” In addition NPD estimates that, thanks mostly to purchases by teens, average per-buyer spending on music downloads increased 6% Y/Y, and the number of consumers purchasing both single tracks and full albums increased. 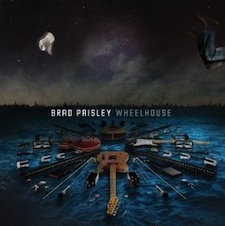 Country album sales and the Top current country album chart received an upward lift into positive territory this week with the release of album debuts from Brad Paisley (No. 1; 100k; 40% digital) and Eric Church’s live set Caught In The Act (No. 3; 61k; 43% digital). Paisley’s last album This Is Country Music debuted the week ending 5-29-11 also at No. 1, but with sales of 153k units. Also impacting sales was the ACM Awards which gave renewed energy to albums from artists like Miranda Lambert (No. 15; 12k; up 61%), Eric Church (No. 7; 19k; up 28%), Little Big Town (No. 9; 16k; up 32%), plus others such as Jason Aldean and Luke Bryan. ACM performer gains were also evident in the tracks department. Florida Georgia Line or FGL continues to rule the country tracks list as “Cruise” added 179k more downloads for an impressive RTD total of over 2.7 million. YTD Country track sales are ahead ahead of the same period last year by 6.4% while all genre tracks sales lag last year, -2%. Downloads for Hunter Hayes’ new single “I Want Crazy” leapt up 495% to almost 110k units for the week. Luke Bryan’s single, “Crash My Party” logged 164k downloads an increase of 526% for the week. Also benefiting from the TV spotlight was Tim McGraw’s stunning duet with Taylor Swift and Keith Urban on guitar, “Highway Don’t Care” which increased W/W by 40% with sales of over 115k units. The Spring rush is on with upcoming new albums from Kenny Chesney and LeAnn Rimes the week of April 30; then Lady Antebellum and Pistol Annies the week of May 7. Find a complete list upcoming albums here. Stay tuned to the Weekly Register which is starting to ring loud. I’d also like to take a moment to grieve and show solidarity with the people in Boston who have suffered a great loss this week at the city’s famed Marathon. Let’s pray for the speedy recovery of those injured and for the hearts of their loved ones who are also going through a terrible ordeal. Their bravery in the face of evil is an inspiration to us all.